We are hurtling officially towards summer down here (ie tomorrow) and to be frank I am not pleased. I do not do hot weather and even moreso, humidity. I was truly born in the wrong country although Tasmania would probably do quite nicely. Beautiful countryside, lower temps, less humidity and a great food culture. Let’s sit with that for a moment shall we? The only redeeming feature for me in these hotter months, apart from washing drying on the line in an hour rather than a day, is the food. Stone fruits, mangos, papaya, crisp Asian salads loaded with lime, mint, coriander and chilli and cooking outside. Actually Sydney’s climate means I could/should use the BBQ year round but I always tend to forget it’s there once the heater is in action. The main reason I like cooking outside is I don’t have to clean down the cooktop. Yes, I am that lazy. This dessert is fairly and squarely placed in my summer repertoire and all the boys love it. Along with the black sticky rice it sits in relatively high rotation, topped with mango or other summer fruits, drizzled with a palm sugar syrup, extra coconut cream and lime to give it zing. 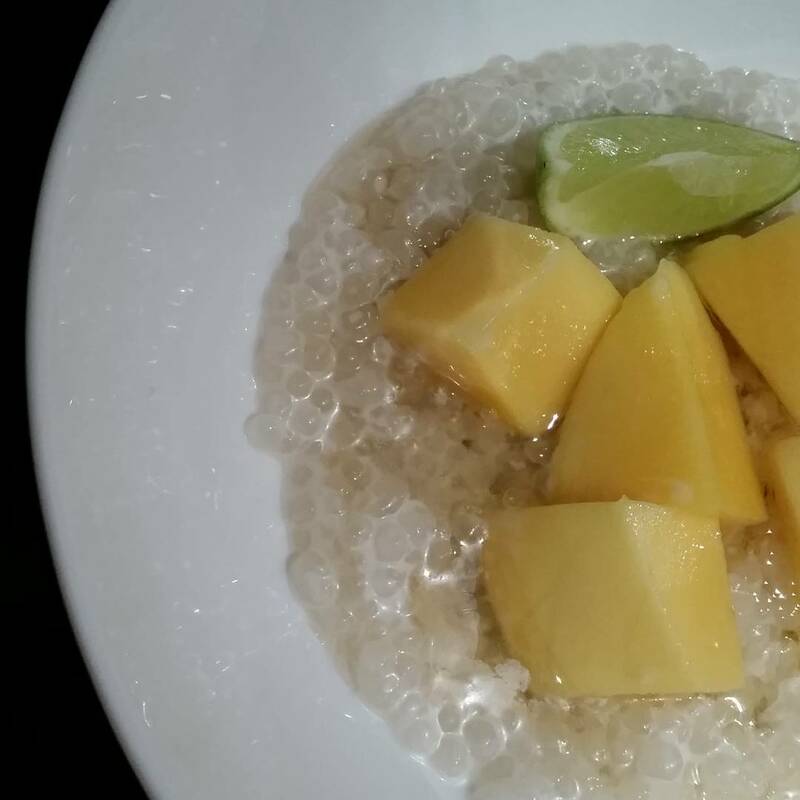 Some people call it sago, some call it tapioca, we call it frogs eggs. There are myriad recipes for its use but this is my go-to. To serve, spoon into a bowl, top with fruit, drizzle over some of the remaining coconut cream and sugar syrup and finish with a squeeze of fresh lime. For complete show-pony status you can initially pour them into moulds and then turn out when serving, fancy like.